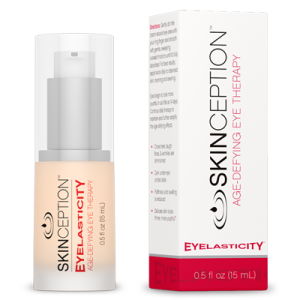 Eyelasticity is one of the best selling eye creams from Skinception. Eyelasticity claims to counter the effects of aging by reducing the appearance of both crow’s feet and wrinkles while helping to strengthen the skin directly below the eyes, assisting your body in producing collagen and more elasticin, decreasing blood clotting that occurs below the eye, and even helping to protect you from free radical damage. Eyeseryl. Eyeseryl is an ingredient that is commonly seen in both creams specifically for the eye as well as all purpose facial creams due to evidence that it reduces both wrinkles and puffiness below the eye. This ingredient is also well known for improving the firmness of the skin. Syn-ake. When used over time, Syn-ake has been shown to be a close equivalent to Botox by reducing the appearance of aging and wrinkles. Regu-age. Regu-age is another active ingredient that is used to target the problems of puffiness and dark circles. ProCollOne. ProCollOne is included due to its ability to increase the production of collagen. 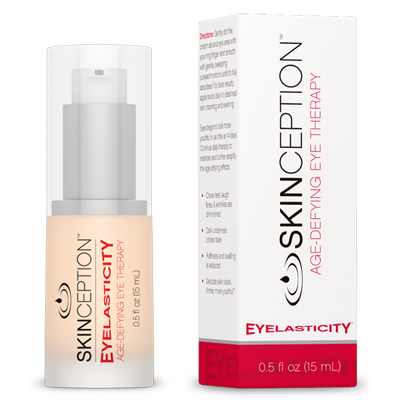 The ingredients of Eyelasticity are proven to address the problems of dark circles, wrinkles and puffiness. Eyelasticity is only available online or through the company by fax or phone.